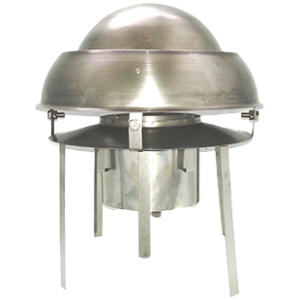 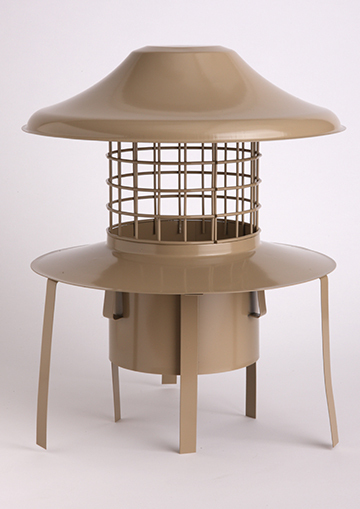 The Euro Pot Hanging Cowl is designed to prevent birds, vermin and debris from entering your flue liner and to protect against rain. 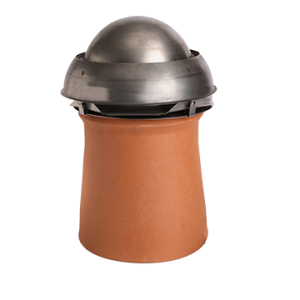 Attaching straight to the liner it is fast becoming the installer’s cowl of choice as it offers great protection and is quick and easy to fix to the liner making installations a lot quicker and therefore spending less time on site. 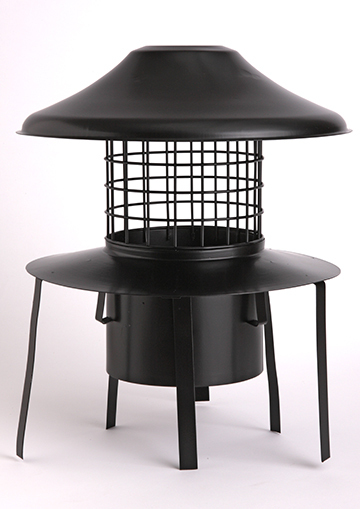 The chimney sweeps friend, as it was designed with sweeping in mind, the design of our Pot Hanging Cowl ensures the bush touches the mesh all the way to the top meaning that there are no untouched areas to allow the build up of soot, and what it collects along the way is forced out of the sides. 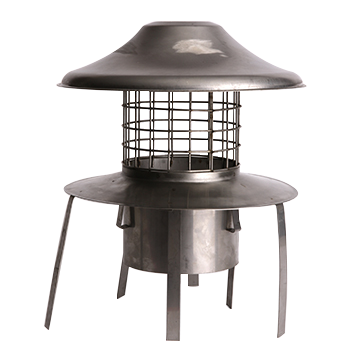 Many companies are now offering 10, 20 or even life time guarantees on stove and wood burner installations, with this in mind our Pot Hanging Cowls are made from a heavier stainless steel and mesh, another added benefit. 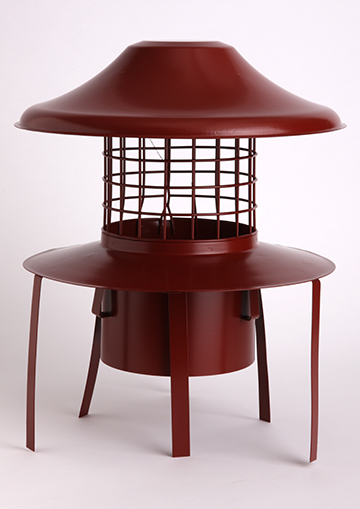 Made with stainless steel this one piece construction is available in both 5 & 6 inch models and in our standard set of 5 colours, the cowl is secured to the liner with two sets of jubilee bands. 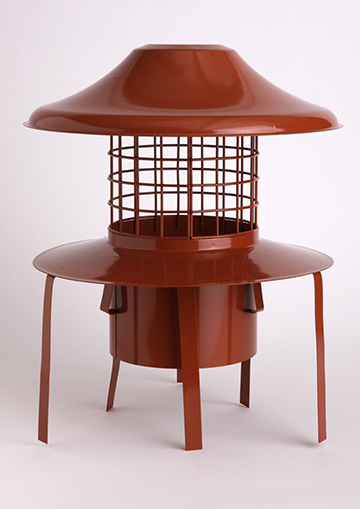 AVAILABLE IN THE FOLLOWING NATURAL OR PAINTED FINISHES: Colours are for illustrative purposes and may differ to actual products.